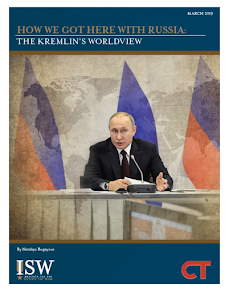 KT: The U.S. faces pressure from Russia as well as militant groups that seek to undermine the U.S. and NATO missions in Afghanistan during spring and summer 2017. 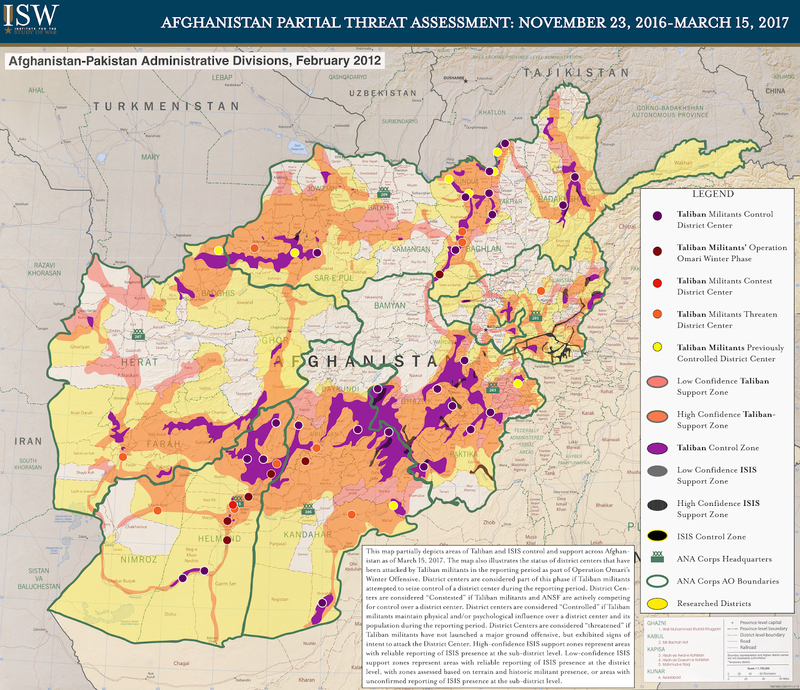 The ANSF faces readiness gaps that will expose multiple provincial capitals to recurrent attacks by the Taliban and escalating attacks in Kabul by multiple groups, including ISIS. These threats will compound the difficulty the ANSF already faces in holding territory recaptured from Taliban forces in 2016. Russia meanwhile will attempt to thwart the U.S. and NATO by brokering peace talks with the Taliban that increasingly incorporate competing international power centers, such as China and the Shanghai Cooperation Organization (SCO). The Taliban set conditions during the winter phase of its yearlong campaign, Operation Omari, to target provincial capitals during its upcoming spring 2017 offensive. Taliban militants attacked security posts and district centers near the provincial capitals of Helmand, Kunduz, and Uruzgan provinces over the reporting period, indicating their intent to attack these cities during their upcoming spring 2017 offensive when they announce it in April 2017. Taliban militants had also launched simultaneous attacks on the same three cities, as well as the provincial capital of Farah Province, in October 2016. Taliban militants attacked four district centers in Helmand in January and February 2017 to weaken security forces and gain territory to stage attacks against Lashkar Gah city. Taliban militants also launched several attacks against security posts on the outskirts of Tarin Kot city, the provincial capital of Uruzgan province in January and February. Taliban militants also attacked ANA bases in Baghlan-e Jadid District in Baghlan Province in March 2017 in an attempt to gain control of the ground line of communication (GLOC) that the ANSF uses to send reinforcements to Kunduz City from Kabul. These attacks indicate that the Taliban intends to launch ground campaigns against Lashkar Gah, Tarin Kot, and Kunduz cities during the upcoming spring offensive. ISIS Wilayat Khorasan took advantage of ungoverned and remote spaces in northwest Afghanistan to expand its territory. ISIS expanded beyond its stronghold in Nangarhar province in eastern Afghanistan and established a base to receive and train foreign fighters in northwest Afghanistan. Uzbek militants fighting with ISIS in Jowzjan province exerted social control by destroying Sufi shrines, burning civilian homes, and erecting prisons in early 2017. ISIS deployed recruiters from Zabul province to set up a training camp in Nimroz province in early 2017. ISIS will prioritize expanding its control in Afghanistan as it faces the loss of its capital cities in Syria and Iraq in 2017. ISIS will also attack Afghan state institutions directly. ISIS launched a complex attack against the ANSF national military hospital in Kabul on March 8, 2017. 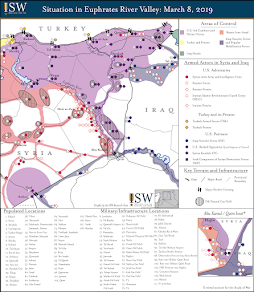 The attack demonstrated an increase in capability, insider access, and the transfer of techniques from other groups in the area or from ISIS’s core terrain. ANSF force regeneration is not on track to match the Taliban’s spring offensives. The ANSF failed to secure large swaths of territory from Taliban militants during the winter phase of its own counter-offensive campaign, Operation Shafaq. The majority of its holding forces are insufficiently trained and under-equipped, requiring additional support from Afghan Special Security Forces. Taliban militants targeted southern and northern districts during the winter phase of Operation Omari while the ANSF conducted anti-ISIS operations in the East. The ANSF continues to struggle with high casualties and attrition despite ongoing U.S.-led force regeneration efforts. Recruitment generally keeps pace with these losses, but it is insufficient to build the force necessary to clear and hold territory from Taliban militants. The Afghan Air Force’s (AAF) capabilities are steadily increasing, but its airframes are in “dire condition” due to high operational tempo and compromised helicopter maintenance due to sanctions on Russian equipment. Russia will attempt to leverage this weakness to insert itself in Afghanistan’s security sector on its own terms. The Taliban will likely capitalize on the ANSF’s readiness gaps by launching simultaneous offensives in separate regions during its spring offensive in order to stretch and weaken the ANSF to a breaking point. Rising tensions in the National Unity Government will allow the Taliban and extremist networks to exploit security gaps. First Vice President Abdul Rashid Dostum undermined the government by refusing to comply with Afghan law or cooperate with judicial institutions following accusations that he assaulted the former Jowzjan Governor in November 2016. ISIS and the Islamic Movement of Uzbekistan (IMU) exploited security gaps caused by the absence or fracturing of Dostum’s militia in Jowzjan while it protected him in Kabul. Meanwhile, Dostum’s rival, Balkh Provincial Governor Mohammad Atta Noor, seeks to supplant fellow Tajik and Jamiat party member CEO Abdullah Abdullah’s influence in the National Unity Government. President Ghani benefits from Atta’s efforts to undermine Abdullah, his rival. Atta is currently holding private talks with President Ghani, either to join the central government or possibly set up a bid for the 2019 Afghan presidential elections. The National Unity Government will lose its ability to prevent insurgent and Salafi-jihadi groups from reconstituting as it fractures along powerbrokers and warlords’ competing interests. The National Unity Government will also become increasingly willing to entertain peace talks with the Taliban brokered by Russia, which could accelerate bold posturing and independent action by former Northern Alliance Warlords within the government. Russia is undermining the U.S. and NATO by positioning itself as the key interlocutor of peace talks with the Taliban. General Nicholson expressed concern over the “malign influence” of Russia, Iran, and Pakistan and their support of terrorist groups inside Afghanistan in a press conference on December 2, 2016. He stated that the Russian narrative that Taliban militants are countering ISIS in Afghanistan is false, and further undermines the U.S. missions in Afghanistan. Russia plans to discuss Afghan peace talks with representatives from Iran, China, Pakistan, India, and Afghanistan in Moscow in April 2017, following similar meetings in December 2016, February 2017, and March 2017. Russia is courting Afghan government officials to legitimize itself as a dominant regional actor in the Afghan conflict. Russia may use economic incentives, such as restoring Soviet-era infrastructure, to strengthen its ties with the Afghan government. Russia’s continued support for the Taliban will thwart the U.S. and NATO missions in Afghanistan, weaken the Afghan government, and position Russia to use peace talks in Afghanistan to assert its own legitimacy as a guarantor of international order. Russia will use its increasing influence in Afghanistan to weaken and ultimately oust NATO from Afghanistan. Current levels of U.S. support to the ANSF will fail to secure Afghanistan against militant groups and prevent Russia’s efforts to undermine NATO in Afghanistan. The Taliban can modulate violence in Afghanistan during the fighting season and therefore exert leverage over the Afghan state, the U.S. and NATO. U.S. Forces-Afghanistan (USFOR-A) optimized its force structure in order to mitigate the drawdown from 9,800 to 8,448 troops during the winter fighting season, but the force is still inadequate to prepare the ANSF’s to secure the country. U.S. leaders attest that the U.S. must increase its troop levels to increase the ANSF’s capacity through the train, advise, and assist (TAA) mission. The U.S. has a national security interest in preventing Salafi-Jihadist groups, including ISIS and al-Qaeda, from reconstituting in Afghanistan. Correction: ISW previously listed that Taliban militants attacked Talah wa Barfak District in Baghlan Province in March 2017. It has since been corrected to state Taliban militants attacked ANA bases in Baghlan-e Jadid District in March 2017 as of 22 MAR 2017.